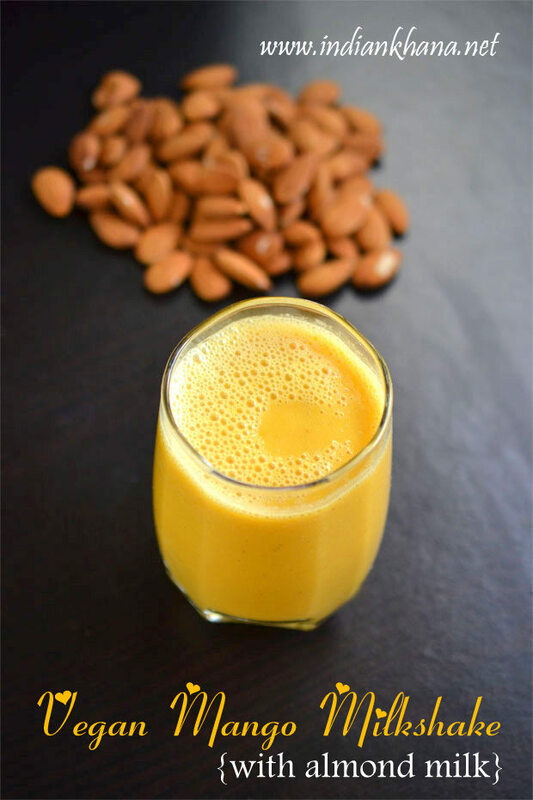 Vegan Mango Milkshake or Mango milkshake with almond milk is easy, delicious milkshake recipe and the almond milk takes this super easy milkshake to all new level. 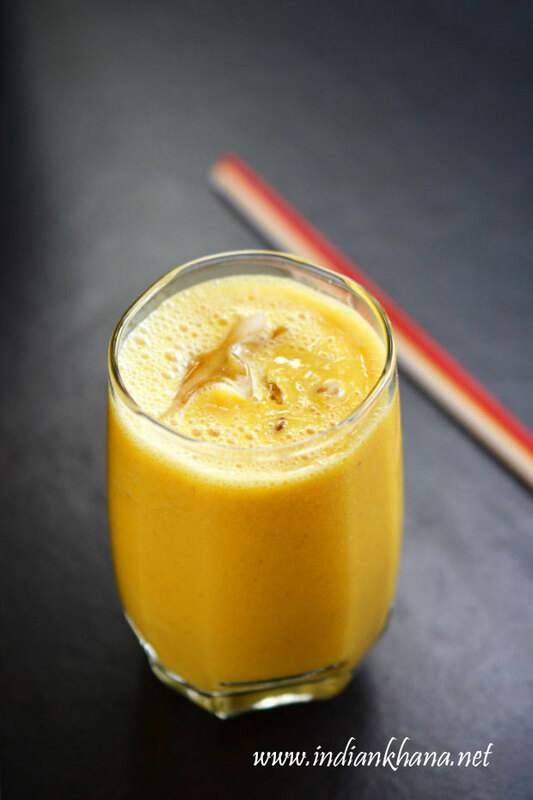 This vegan mango milkshake is more light and refreshing than diary mango milkshake, mango with almond it's wonderful combo and there is no overpowering almond flavor in this milkshake, mango still is the king here. 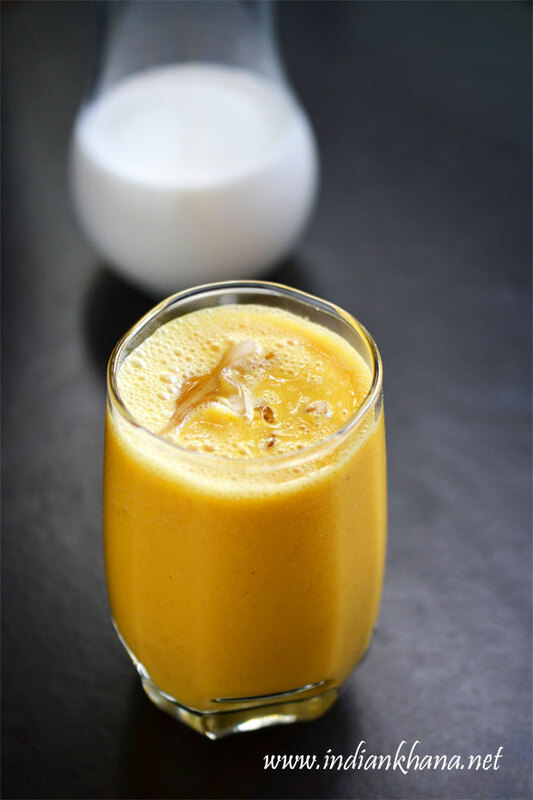 You can see am posting quite a few mango drinks recipe because that's what I am making other than using mango in other any other (except in few occasions) in this hot weather a chilled beverages is all required. So I made this fresh batch of almond milk the other day and thought of making mango milkshake with it, I wanted to try Vegan beverages for a long time and specially with coconut milk but doesn't happen for some unknown reason. This time I decided I going to do this and I was very happy with the result, if you don't have almond milk of course you can make some at home it's very easy if not you can also use coconut milk it works perfectly too. Almond has many health benefits and pairing it with mango is pure blish. Also you can avoid sugar or replace it with dates, figs or jaggery too. This is more of my breakfast milkshake as it's filling and quick just perfect for morning rush. So here presenting Vegan Mango Milkshake to you. 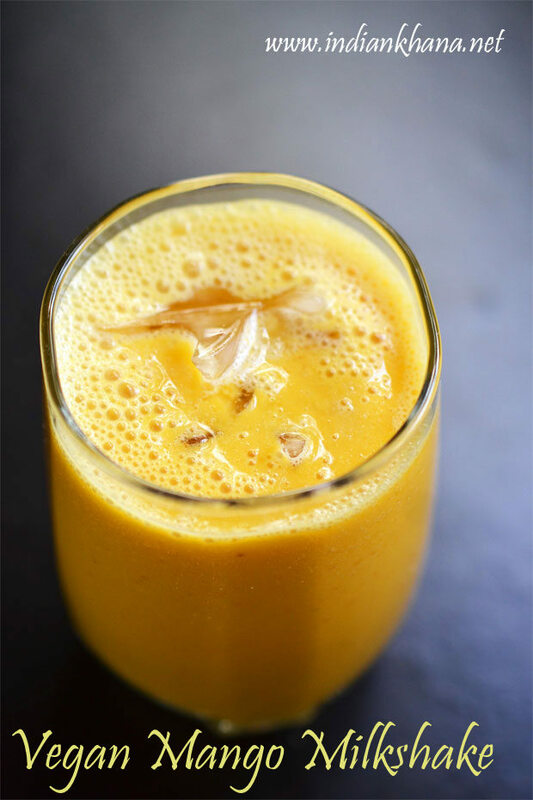 Vegan Mango Milkshake made with almond milk, refreshing drink for summer. Wash, peel and cut mango in medium size. Puree in a mixer or blend until smooth. Add almond milk, sugar (if using), cardamom and blend again for a minute to combine everything well. 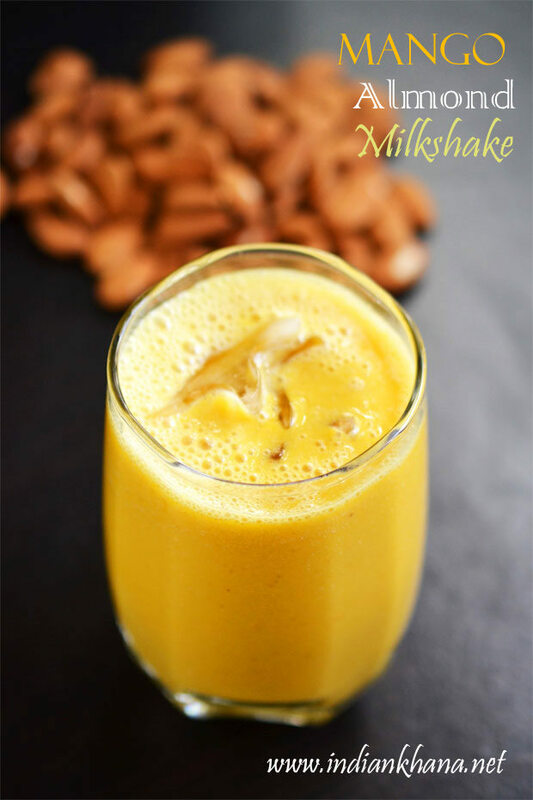 Enjoy our refreshing mango milkshake with almond hint. Don't use almond milk which is very thin in constiency, if you have home made almond milk and use the 1st extract.